An alleged delay in production of fingerprint sensors could severely restrict how many "iPhone 5S" units Apple is capable of building this quarter, a new rumor claims. The details were reported on Monday by DigiTimes, a Taiwanese tech site frequently lambasted for its questionable track record on Apple rumors. In its latest report, the site claims Apple may only be able to build between 3 million and 4 million units of the anticipated "iPhone 5S" in the third quarter. The report alleges that mass production of fingerprint sensors for the next iPhone was set to begin in May through Taiwan Semiconductor Manufacturing Co., before they were packaged at Xintec. But those plans were reportedly delayed "due to issues related to integration between iOS 7 and fingerprint chips." Apple is said to have put together an engineering team at Xintec in an effort to improve yield rates in packaging the fingerprint sensors. Volume production is allegedly expected to begin by the end of August, allowing Apple to produce as many as 30 million "iPhone 5S" units in the fourth quarter of calendar 2013. Apple's next flagship iPhone is expected to have a fingerprint sensor included beneath its home button. Well-connected analyst Ming-Chi Kuo indicated this weekend that the new home button will be convex rather than concave, and will feature a sapphire cover to prevent scratches. The next iPhone is expected to be introduced by Apple at a media event on Sept. 10. 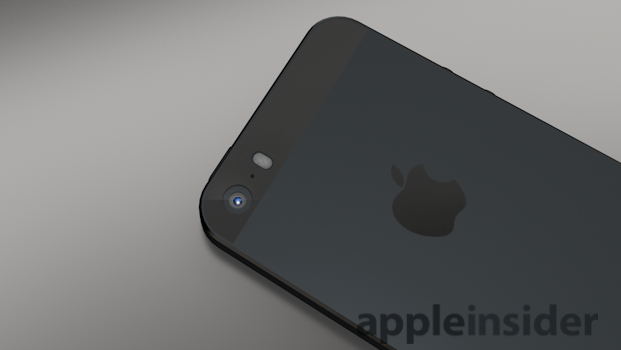 If past release schedules hold again this year, that would place the launch of the "iPhone 5S" on Friday, Sept. 20.